As it is the festive season, I felt a bit cruel for leaving such a negative afternoon tea review with you in my last post, so I thought I'd spoil you with another. As we all know, after the festive fun of Christmas Day, comes the infamous Boxing Day Sales. In London, one of the first names that come to mind when you think shopping is of course, Harrods. But there's so much more than just shopping to the iconic department store, and there is no reason not to make an indulgent day of it. It won't surprise you to hear that Harrods is so much more than a department store. Harrods offers more than a few exclusive services, including an Urban Retreat, a Parfumerie, a Cobbler's and no less than 10 different places to indulge in a bite to eat, as well as floor upon floor of retail heaven. 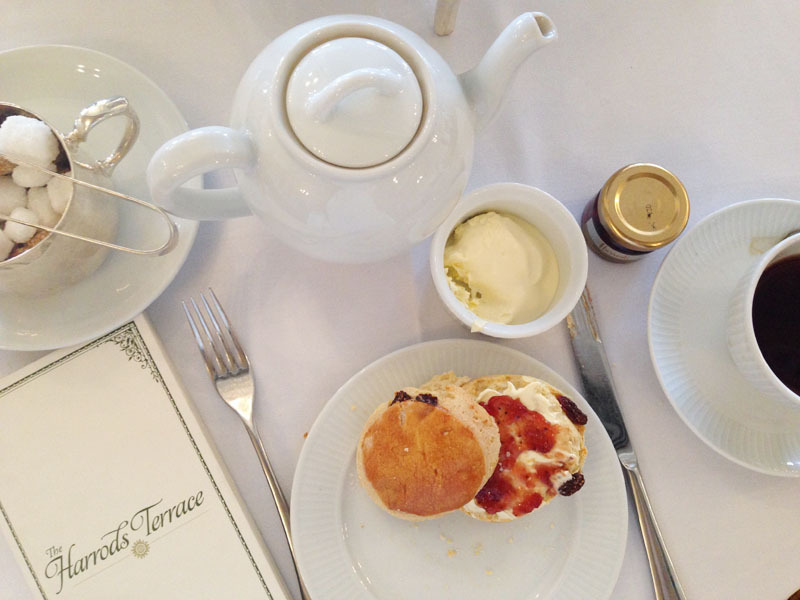 In search of a break from a full day of shopping, we headed down to the Harrods Terrace for a little tea time treat. Harrods do actually have a dedicated Tea Room where you are able to just walk on in and surrender yourself to this delicious past time, however at the time I visited, the Tea Room was under refurbishment and so they booked us into the Harrods Terrace Restaurant. I do believe since the re-opening of the Tea Room, Harrods have changed the way in which they serve afternoon tea, but sadly having not got around to trying that yet I can only comment on the afternoon tea I experienced earlier in the year! 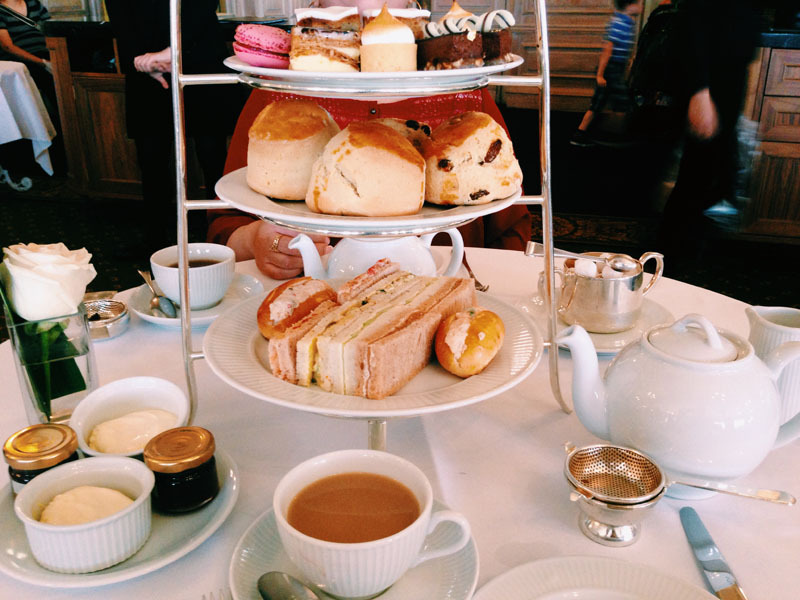 It was an unusual experience to walk into a department store and have afternoon tea, something I enjoyed most about afternoon tea at Harrods was the fact that they make no pretense that you are in a department store. The Terrace is constantly busy, people of all walks of life are coming, going, wining and dining while just a few yards away you can watch shoppers browsing the floor in search of that perfect buy. It was a strange juxtaposition, but one that was immediately comforting, and I quickly decided that there couldn't be a more perfect way to people-watch than in the center of the landmark department store. Now, on to the tea! Harrods of course pride themselves on directly sourcing the finest quality teas, boasting tea as one of their primary commodities since the store opened in 1849. The selection is one of abundance, with Green, White, Black, Fruit and 'Exclusive' teas on offer. Thank God you're not limited to how many you can try, because you will want to sample more than one! Alongside the tea come finger sandwiches of cucumber, salmon and cream cheese, red pepper and humus, chicken and mayonnaise and a lobster roll, all of which are completely delicious and replenishable. The scones are warm, freshly baked and the smell alone is absolutely divine. To top it off there is fruit cake, macaroon, lemon meringue pie, chocolate cake and mille-feuille, all so carefully crafted and exceptionally tasty, if you still have the room. 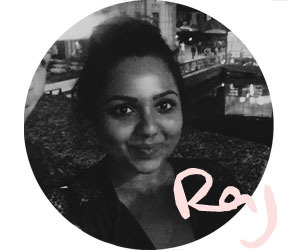 As a Londoner I love hustle and bustle of this city, and the thing that made this experience so unforgettable was the fact that you can be experiencing some of the things that make this city what it is whilst enjoying the most decadent in cakes and sandwiches. The eccentric sights, vibrant pace and eclectic collection of people are there to observe, whilst you indulge in tea time treats meticulously designed to delight. Then, once your stomach, and your soul, are sated with sugar you leave your table and are whisked up within that crowd, becoming part of that atmosphere and part of London. Wow all of this food looks absolutely amazing! I am almost overwhelmed at how much food there is! Sounds like such a lovely experience, hope you guys had a great time! I always get hungry after food posts. Hahhah. I love your photos. I have been to Harrods so many times and never stopped for an afternoon tea which is one of my favourite things to do!! These photos are beautiful and has convinced me to go!!!! Great post!!! Wow, I just drooled a little reading about the yummy food! This definitely sounds and looks like a luxury afternoon tea, I can only think of what better experience the actual tearoom serves! Festive indeed, Happy New year, cheers to 2016 and all its goodness,xoxo Bing. Seems like a great experience. 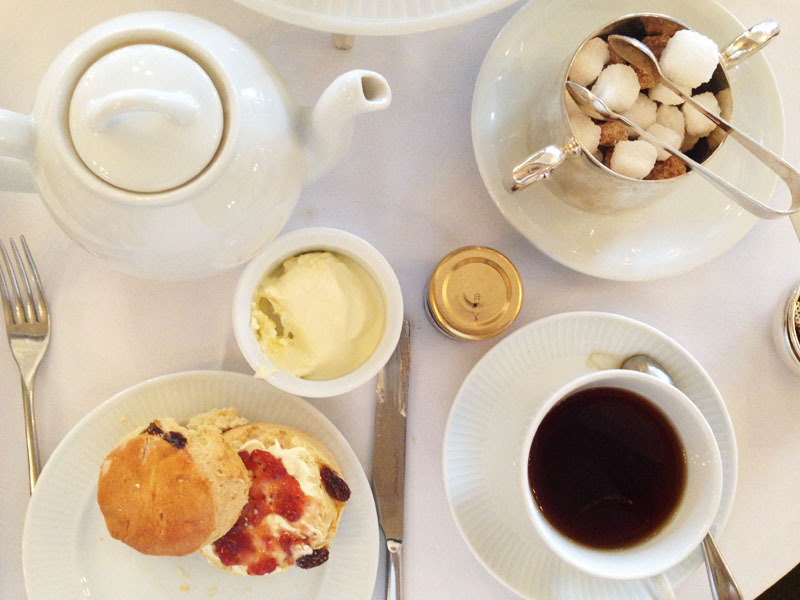 I'd love to sip delicious tea and eat amazing food while people-watching at Harrods!!! So cute, fun, and tasty! This is so, SO pretty! 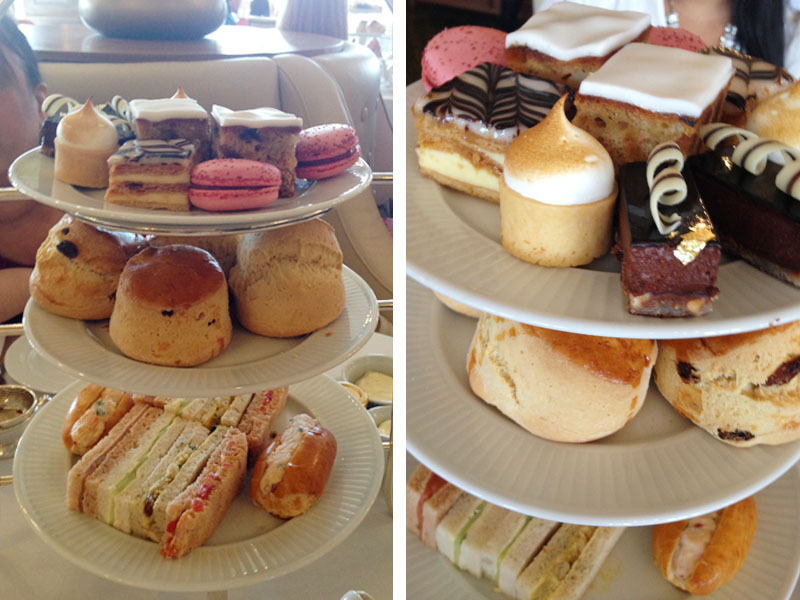 Wish I could have high tea somewhere soon! I just love tea time anywhere and this seems like it was so much fun. I just love everything that was on that table. Beautiful photos. 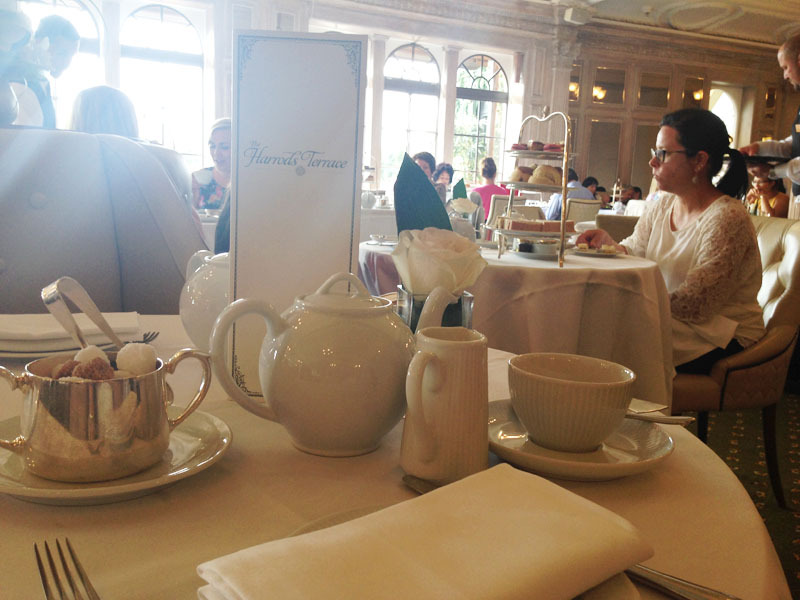 I have always wanted to have tea at Harrods!